But Tenkara is something different. And it becomes even more entrancing with Tanuki Ninja – Tenkara Fly Fishing rod – a superb quality, crafted-with-care Tenkara rod, the simplest way of fly fishing! Let’s see what both mean. Tenkara is a Japanese style of fly fishing which makes fly fishing way easier than traditional fly fishing with a telescopic rod, a small tippet or leader, a line that is tied to the tip of the rod and the fly itself. 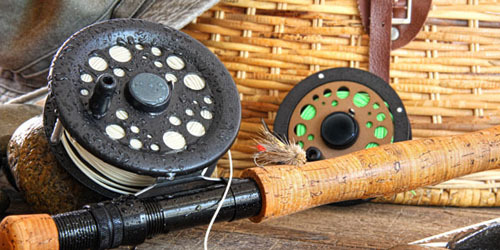 What is absent is the reel full of yards of fly line that has to be cast expertly to get the desired effect. So, with the Tenkara outfit, you mainly have a line, a stick and a lure. For casting it, you just have to stretch your index finger along the cork grip, lift it and flick the line towards the spot you’d like to and you’re done! So, you can imagine that you won’t need fancy casts, and there will be no getting fastened into bushes. If a fish bites, you can raise the rod high and bring it near you and can easily release the catch – it’s that simple. 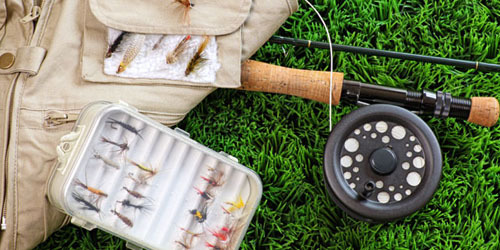 Since there is no reel involved in Tenkara fly fishing, it’s much easier for beginners to learn and it’s even great for seasoned fly fishers because they can just focus on the fun of fishing and enjoy it. And it becomes even simpler when you do it with the innovative Tanuki Ninja Tenkara fly fishing rod. TANUKI NINJA is a superb quality, meticulously handcrafted reel-less telescopic fly fishing rod. 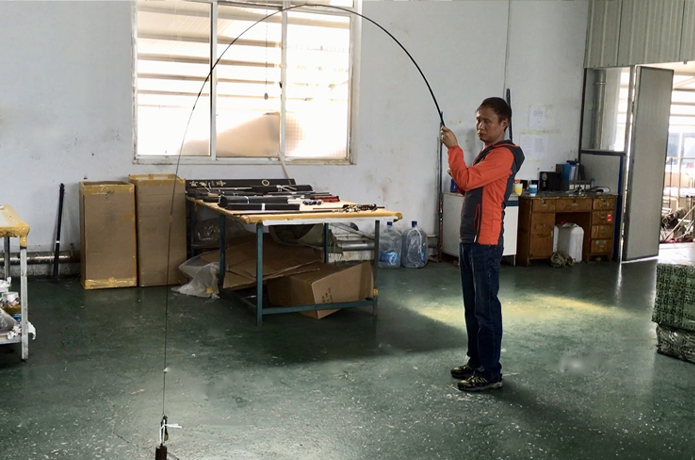 It is perhaps the lightest and most sensitive fly fishing rod in the world. 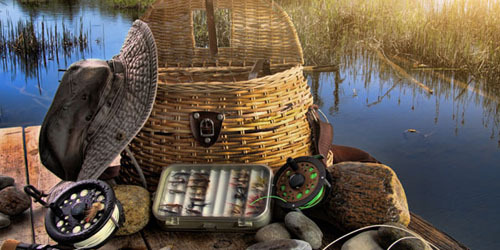 It’s literally featherweight and compact so that you can take it to any fishing destination easily or on any other adventure including camping, hiking and backpacking. Tanuki Ninja has been designed to offer the fisher the optimum joy of fishing. One of such joys of fishing is to fool a fish or sense a fish in deep water. Both these can be enjoyed with Tanuki Ninja because it’s so fine that you can keep the line above the water more easily and also have a better contact between the fly and rod. Tanuki Ninja is tailored with some of the best adjustments that make it ultra-effective on how it deals with the fish-catching process. 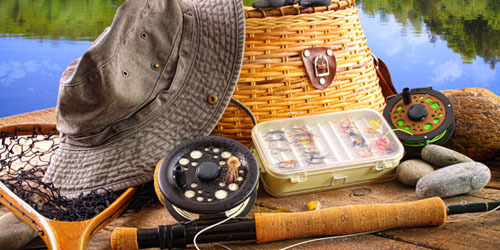 The rod has some of the best methods that will make you relaxed from your hectic schedule whether you are a pro fisher or doing it just for recreational or commercial purpose. The flexibility and sensitivity of Tanuki Ninja are its two important properties. Due to its flexibility, you can cast a very fine line without much of effort and due to its sensitivity, you get an additional indicator to detect the fish bite even in deep water. With Tanuki Ninja, you can now have the freedom, control and choice of how to perform your fly fishing. So, if you are scared of fly fishing so far due to the complications involved, Tanuki Ninja eliminates all the complication and makes fly fishing super-easy for you. The creator of Tanuki Ninja is a designer and engineer named Luong Tam who has devoted a major part of his life to develop his hobby into a profession. 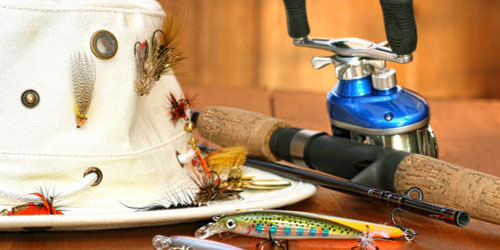 He has designed some of the most advanced fly fishing rods, with traditional as well as modern material sciences, to make his rods stronger, lighter and more improved. Tanuki Ninja is the best product of Tam. 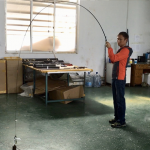 Created to be telescopic, the rod folds into itself and becomes just 23 inches (59cm) when closed and can turn into a magnificent full length rod of 11 and a half feet (350cm) when needed i.e. for fishing. Tam also takes care to make his rods with a special Japanese Toray high modulus carbon fiber that enables the Tanuki Ninja rods to be extremely resilient, bending into a 180° arc under pressure without having to sweat. One more benefit of the material is that the Tanuki Ninja weighs just 63 grams (2.2 ounces), which is perhaps the lightest fly fishing rod in the world ever made. It also sports an EVA foam grip at its base that makes the working of the rod far easier and more comfortable. Tanuki Ninja also comes with two lines – a light yet strong fluorocarbon line and a high-visibility floating line. Unlike other fishing rods or methods, Tanuki Ninja offers you a relaxed experience with its effortless functionality. Since it has been used in the Japanese market for long, it has added with technological changes that have made it more suitable for modern use and thus even more convenient. Tanuki Ninja is also an economical way of fly fishing, as it only needs a rod, a fly and a line. The rod can accommodate most users due to its light nature. The entire package is easy to assemble and a guide is included with it that allows you to begin as soon as you receive it. So, hopefully, now you won’t shy away from fly fishing as Tanuki Ninja is there to make your experience enjoyable.